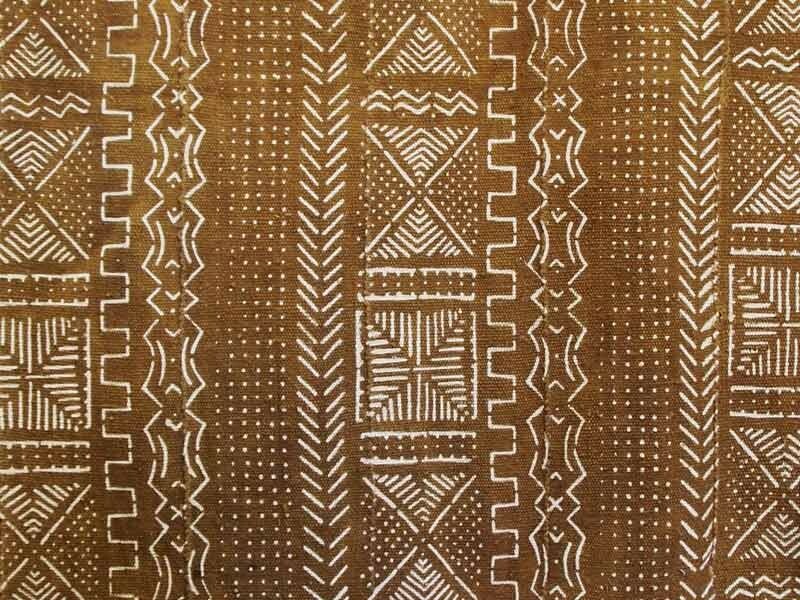 The mudcloth is produced by the people of Mali. 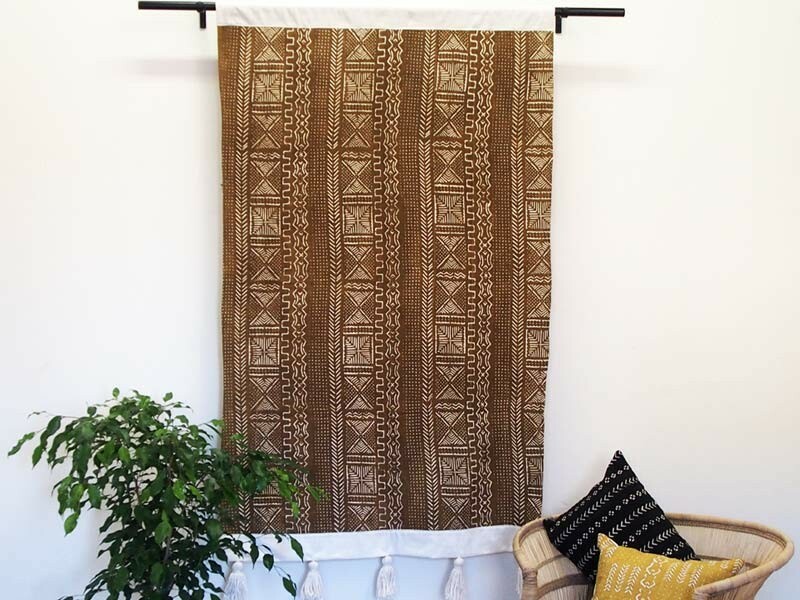 Each cloth is handwoven strips of cotton, they are then stitched together and dyed using root, leaves and mud. We have taken these creations and made eye catching wall hangings. Each design is unique which is always nice to know that you have a one of a kind piece of art hanging in your home or office. 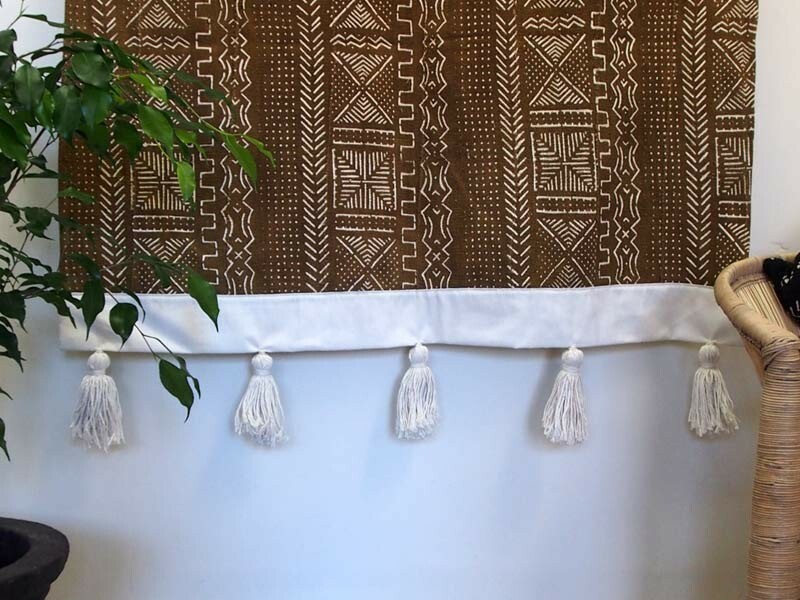 Top and bottom finished with cotton canvas and handmade rope tassles. The opening for the hanging pole is 8cm / 3" wide.